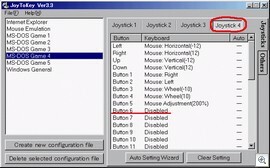 I had an extra entry in my Vista boot menu that I no longer wanted, so I went for a search of boot.ini. As it turns out, the Vista boot menu no longer uses a boot.ini file. 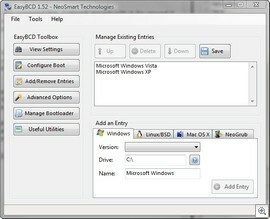 The boot menu is configured in a program called BCDedit. BCDedit is configured through the command line. I played around with it for around 5 minutes before deciding that it was too complicated for me with a Christmas hangover. I knew that if I made an error, I may make my machine unbootable. There had to be an easier way. I came across a utility called EasyBCD. EasyBCD let me change all the settings of my boot menu in a matter of minutes. I was able to add a Windows partition to the boot list, rename the operating systems as they are shown in the menu, and change the wait time. EasyBCD made this job completely simple. The interface doesn’t allow for much user error as it fills in many of the blanks. 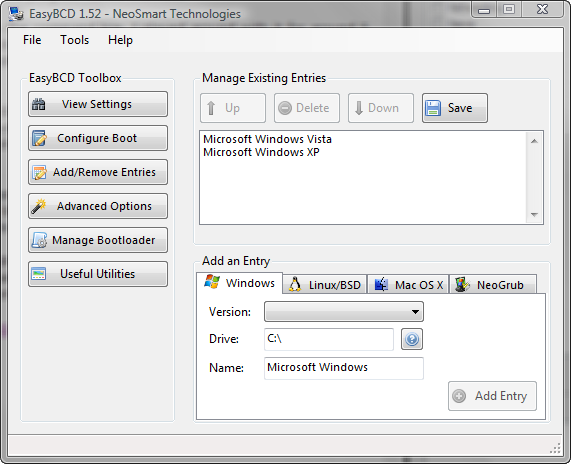 EasyBCD can even help you add non Windows operating systems into the mix. If anything does go wrong with the changes you make, and you find your machine unbootable, put your Vista disk in your computer and boot to it. A quick repair job will bring back the default boot menu. Grab your free copy from NeoSmart.net.